Creative IT, a leading laptop repair store in the United Kingdom, takes pride in offering specialised Toshiba Satellite laptop repair services for customers across the nation. 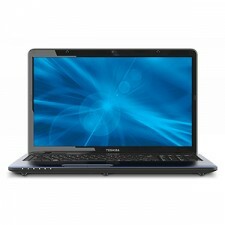 We provide complete Toshiba laptop repair and support with reasonable rates and quick turnaround time. With customised London Toshiba Satellite laptop repair solutions, we work with you to maximise the performance of your current notebook computer by recommending you a suitable repair, replacement or upgrade options which may be necessary for your laptop computer to function effectively. Our expert component level Toshiba Satellite repair technicians provide assistance with all common laptop computer problems such as laptop won’t turn on, dead laptop or blank display, distorted video issues, loss of BIOS settings, notebook stops responding, LCD screen inverter failure, screen is dark, computer locks up intermittently, laptop won’t connect to a wireless network, Toshiba Satellite laptop is overheating, blue screen of death, motherboard failure, laptop randomly shuts down, strange or wrong colours on laptop screen, laptop crashing, ticking or noisy hard drives, Toshiba laptop randomly freezing or hanging, laptop screen flickering, defective on-board laptop memory, laptop battery charging issues, broken / loose DC power jack, driver compatibility issues, LCD screen backlight lamp failure, defective keys on laptop keyboard, graphics processing unit (GPU) failure, laptop heat sink is filled with dust, laptop hard drive bad sectors, liquid or water spill damage, laptop cooling fan isn’t working, virus infection issues, notebook battery and AC adapter issues and other component level issues. With a wide array of genuine laptop spare parts and accessories, we offer quality replacement for all types of damaged or defective hard drives, motherboards, LCD screens, broken USB ports, failed inverters and backlights and graphics chips / graphics processing units of the Toshiba Satellite notebook series. Z930 . Z830 . X200 . U940 . U920t . U840W . U840 . U500 . U400 . U300 . U200 . T230 . T210 . T130 . T110 . R930 . R850 . R630 . R10 . P875 . P855 . P850 . P845t . P775 . P770 . P755 . P750 . P500 . P300 . P30 . P200D . P200 . P20 . P100 . P10 . M70 . M60 . M50 . M40 . M30X . M30 . L875 . L870 . L850 . L830 . L775 . L755D . L755 . L750D . L750 . L735 . L730 . L670D . L670 . L655D . L655 . L650D . L650 . L630 . L555 . L550D . L550 . L505 . L500D . L500 . L450D . L450 . L40 . L350D . L350 . L300D . L300 . L30 . L20 . L100 . L10 . C875 . C870D . C850 . C670D . C670 . C660D . C650 . A665 . A660 . A60 . A500 . A50 . A40 . A350D . A350 . A300D . A300 . A30 . A210 . A200 . A110 . Creative IT UK provides reliable services for your home and business Toshiba Satellite laptop repair needs. We provide our customers with the facility to mail in the damaged laptops directly to our Central London store address. You can also visit our repair store in London and get a quick solution the same day. We are open 6 days a week, Monday through Saturday, 9:00 am to 6.00 pm. Contact us today for your London Toshiba Satellite laptop repair service needs. You can call us on 020 7237 6805 or email your request to us at info@creativeit.tv.